That '70s pant. 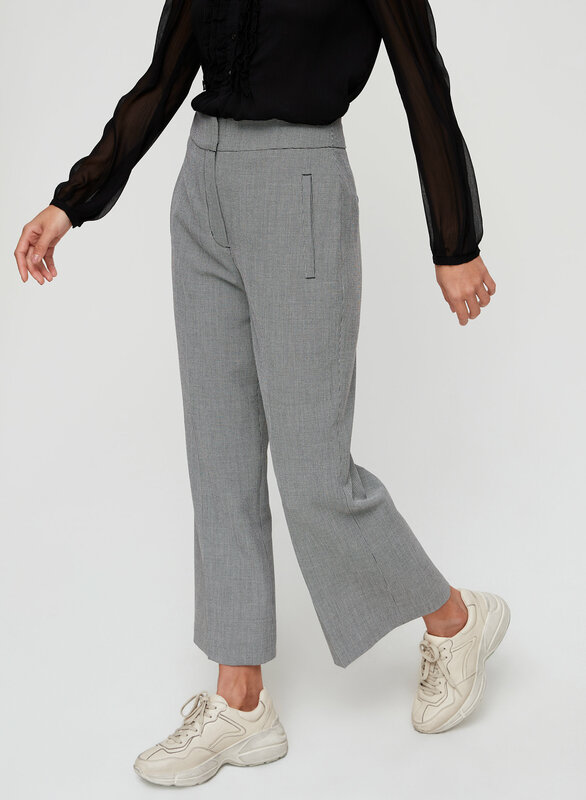 This is a high-waist pant with single welt pockets and a subtle kick flare. It's made with a yarn-dyed check fabric. I love the pattern and slight flare these pants have! The material is slightly stretchy so they do have a bit of give around the thighs and waist. The only thing I would say is that they definitely look better on those taller than 5’3”. I had to get them altered so they could be above my ankles. Great fit and super flattering! These pants are so flattering on! The slight flare is so cute and unique. Also, the material is slightly stretchy so they’re so comfy to wear! Please bring these back in the spring/summer in solid colors/ other patterns! These are great on trend Pants. Fits true to size. At 5ft 4in they hit just above my ankle. They have a cute seventies vibe and look lovely with heeled booties. Love the weight of the fabric (so luxuriously soft but still structured). 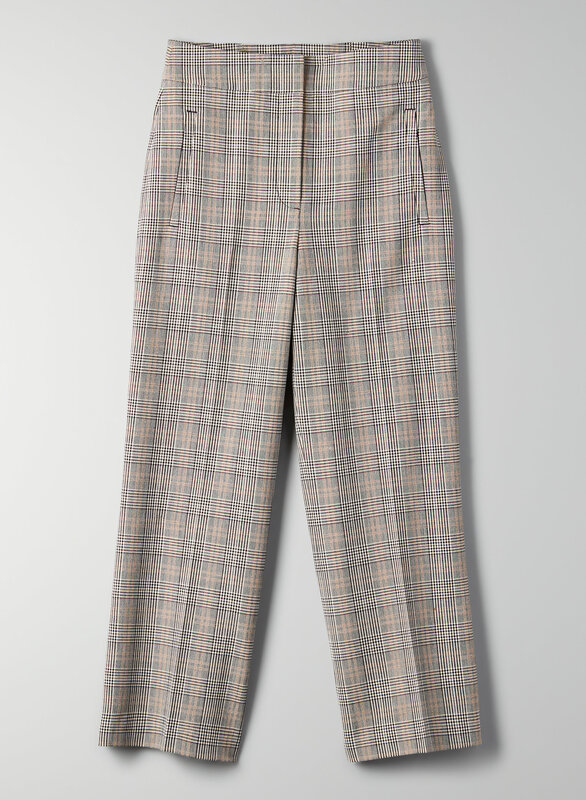 I have these slacks in Caramelized/Black. The patterned hues match with many colours (red, black, cream, blue... ); blouses, knits etc. Looks great with ankle boots. Easy to care for, comfy fit, hugging the waist and hips for a flattering look. Every pair of little moon pant I’ve owned has been beautifully constructed. They are a time less design I’m able the wear them for work and play, I love them!